Order your Tascam MZ-372 7 Channel Rackmount Zone Mixer With Voice Priority from AMS and enjoy 0% Interest Payment Plans, Free Shipping, Free Extended Warranty & 45 Day Money Back Guarantee. Get high-end sound in any room! Designed for permanent installation, the TASCAM MZ-372 offers versatile routing, mixing, and control of multiple audio sources in an attractive easy-to-operate 3U package. For maximum flexibility, source content can include music, spoken word (microphone), turntable, and more - all easily controlled via familiar sliders and assignment controls. Twin outputs each feature a combination of balanced XLR or RCA unbalanced connectors for easy integration into virtually any audio system. 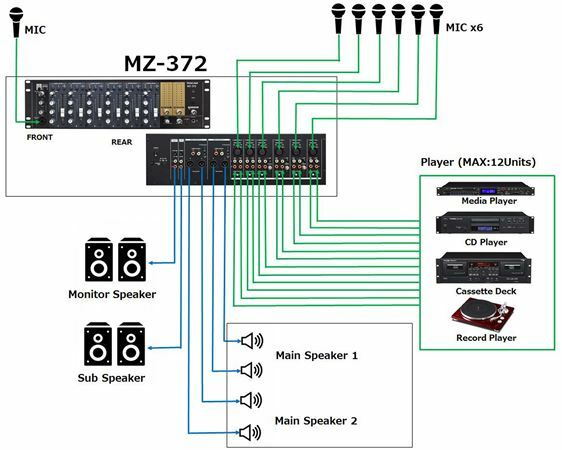 This flexibility allows combinations of microphones, CD/DVD/Blu-ray players, instruments - or any other audio source - to be selected or muted, and sent simultaneously to the dual outputs, each with its own volume control. 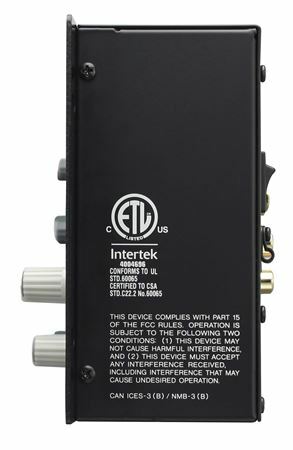 Finally, the convenient ‘talk over’ function will automatically lower any mixed channel source so the microphone connected to the front panel can easily be heard in whichever zones you choose.